ANTISEL΄s strong cooperation with our suppliers and our skilled team of specialists can cover the analytical demands of this field by offering complete systems and solutions, consumables and application support for Air, Water, Soil and Hazardous Waste Analysis, Biomonitoring and Industrial Hygiene. Perkin Elmer is the leader in this field with the widest base of installations all over the world. As ICP-OES is a technique for scientists that look for simultaneous multi-element detection plus sensitivity and throughput, ANTISEL offers instruments and support assuring superior flexibility, ruggedness and the lowest possible detection limits. ANTISEL offers GC, GC/MS and GC MSMS-TOF systems by PerkinElmer, combining the chromatography with sample handling, detector choices, data management, service and reliable access to accessories and consumables. Our customers’ needs are covered by plenty of choices for standard plus custom configurations for special requirements. Added to that a full variety of sample preparation systems like headspace samplers and thermal desorbers are offered in order to cover all possible applications. 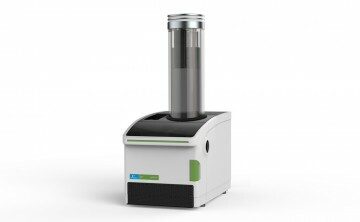 The leading edge technology by Sciex is based on the Triple Quadropole as well as the unique QTrap technology for qualitative and quantitative analysis up to ppt level. It covers all demands and needs in terms of sensitivity, accuracy, sample throughput etc. for a wide range of applications. The new trend of Untargeted Analysis is covered by the Triple TOF line that combines the high mass accuracy – high resolution with the reliable quantitation and the high throughput. As the reliable and efficient sample prep is no less critical than the analysis itself, we complete our product range through a line of microwave systems for digestion, extraction, evaporation or drying of sample materials. For an accurate determination of 3H and 14C as well as other beta emitters concentration levels, ANTISEL provides the systems of PerkinElmer, the only source for the world’s best brands. Furthermore Perkin Elmer provides high resolution gamma counters for research purposes. A wide range of high quality optimized liquid scintillation cocktails and vials complement the LSA solution and ensure optimum counting results. ANTISEL provides solutions by CANBERRA , the world’s leading supplier of systems, instruments and services for radiation detection, identification and protection for more than 40 years, offering a wide range of detection solutions for use in Homeland Security applications to prevent diversion of radioactive material, intercept nuclear smuggling and mitigate consequences of radiological events. These solutions include the world’s largest and most comprehensive line of advanced laboratory analytical products for Gamma spectroscopy, Alpha spectroscopy and Alpha/Beta counting. In order to offer you complete solutions for the above mentioned applications, ANTISEL co-operates with Scharlab S.L., and offers a wide range of Scharlau Chemicals for LC-MS, HPLC, GC Residue Analysis, GC Ultra-trace analysis, as well as Ultra-pure acids, Low mercury content acids, Atomic Absorption standards, and ICP standards for Inorganic trace analysis.